Amino Acids are very important for the growth of cells, bones, muscles, and organs. As we get older, amino acids levels naturally decrease. Some studies indicate that the effects of aging we experience may be due to decline amino acids levels in the body. 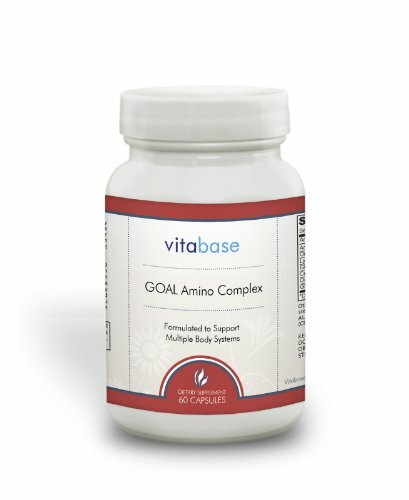 Vitabase GOAL Amino Complex is a combination of amino acids ingredients that help support the body's amino acids level. If you have any questions about this product by Vitabse, contact us by completing and submitting the form below. If you are looking for a specif part number, please include it with your message.